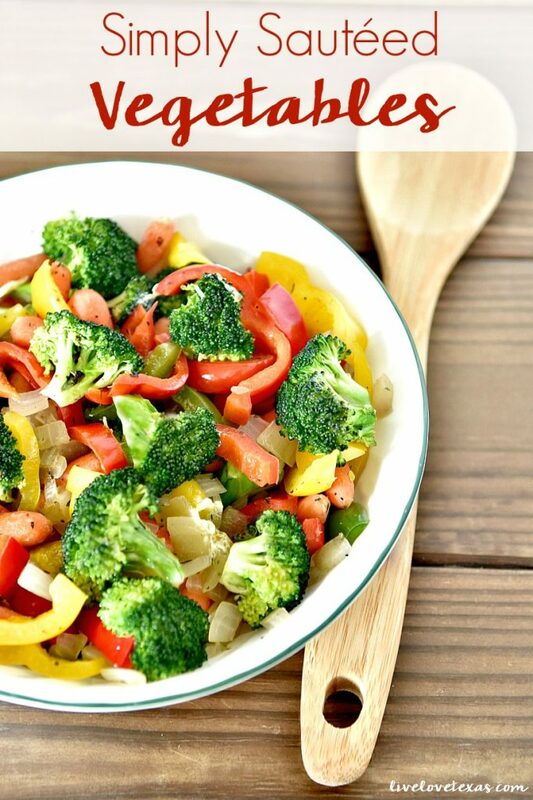 This easy veggie side dish recipe of simply sautéed vegetables featuring broccoli, carrots, bell peppers, onions, dried Italian seasoning, and Country Crock has been sponsored by Mirum. All opinions are my own. It’s the first week of December and the holidays are here in full force. Between decorating the house and doing your holiday shopping, you also want to ensure you’re spending time doing those things that are most important. Like sharing meals with family and friends. There’s something that’s even more special about opening up your home and having a meal with loved ones instead of going out to eat. Sure there’s a little more planning involved, but your house is already decorated, kid-friendly, and you serve deliciously simple meals that you know your family and guests are sure to love. My biggest struggle when entertaining during the holidays is making meals that are fresh, easy, and everyone can eat. So many of our friends are on diets, it’s hard to keep up with what each one can eat (or not) at any one time. The things that seem so be universal on whichever diet or healthy eating plan they’re following are lean protein and vegetables. We always have chicken breasts and fresh veggies on hand so these are the main ingredients for entertaining. When I need an easy veggie side dish recipe in winter, I like to serve simply sautéed vegetables. Salads are great, but only youngest will eat them. That’s why I love the rainbow of colors in these sautéed vegetables that I can get both kids to eat. 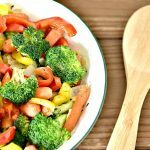 This recipe comes together in about 10 minutes, is kid-friendly, and can be easily modified using whatever fresh or frozen vegetables you have on hand! 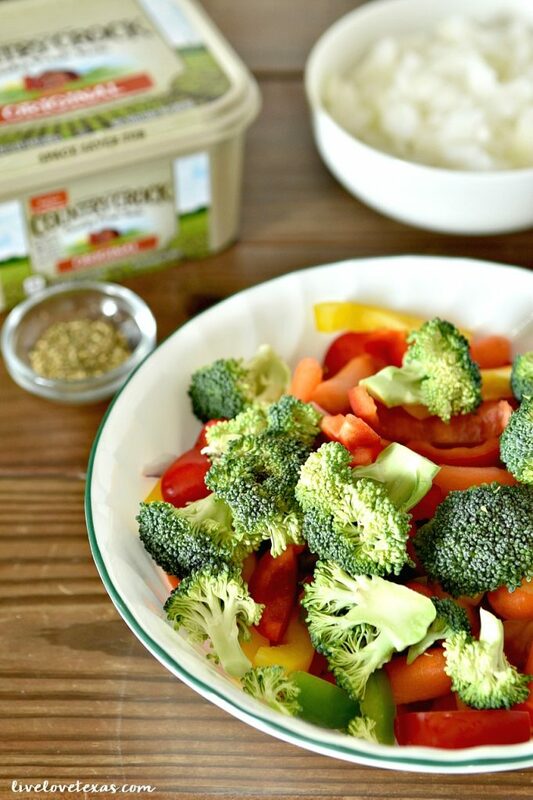 Did you know that many of the Unilever and Walmart ingredients in this easy veggie side dish recipe come from sustainable farms, which means they’re a smart choice for your family and holiday cooking! You can buy all of the products I used in this recipe including Country Crock, that help you make meals simple yet satisfying meals in between those big holiday feasts at Walmart. Don’t forget to try out Walmart Online Grocery Pickup which is an amazing way to save time getting all of the freshest ingredients you need for all of your holiday and post-holiday cooking at everyday low prices! 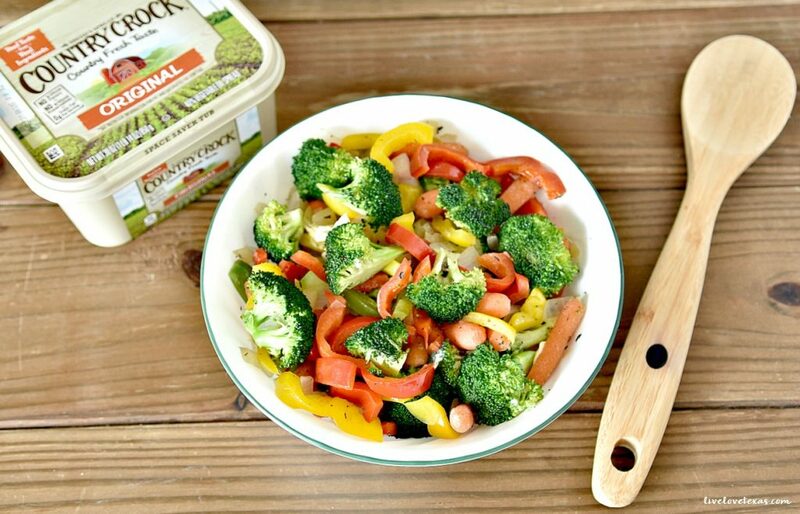 Do you have a favorite easy veggie side dish recipe? I’d love to add more recipes into our rotation, come share your recipe with me on Facebook! 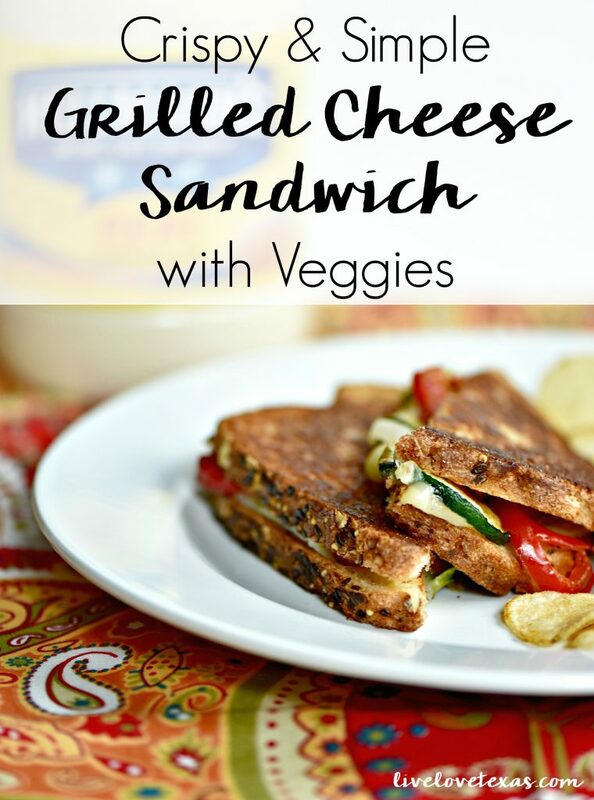 For more delicious veggie recipes that can be made quickly and easily, make sure to check out this Crispy & Simple Grilled Cheese Sandwich with Veggies Recipe featuring Hellmann’s!